But this might be the very first time you've heard the name or have an interest in visiting Kickstarter. Yes, there are lots of quirky crowdfunding campaigns up and running, but this one might be perfect for anyone who is a "car person", especially those of us who had similar toys while growing up. 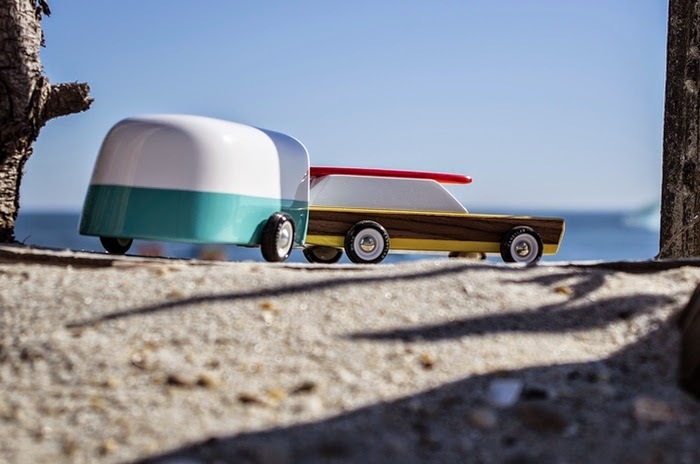 Throwback wood toys, made from solid wood and inspired by vintage cars. Beautiful, nearly indestructible and super fast rolling. When we saw these high quality wooden toy cars that are meant to drive imagination, be played with, beat up and withstand as much energy as possible from a kid, we were hooked. Maybe you will be too. So How Does a Kickstarter Campaign Work? The basics are simple. A campaign has to be approved before it can be launched. Each launched campaign has two main components; a goal (how much is being raised) and time (how long the campaign will last). If the goal is reached within the time period, the amount raised is charged to the contributors credit card and the funds (less a small commission) is forwarded to the listing company. There are also other campaigns which have goals and time limits, but the contribution is made regardless of the total raised, so read the details beforehand. Why not stop by their campaign, learn all about the company, its founders and view more details. That part is free. Should you decide to back the company, depending on the amount contributed, you will get one of the the first cars off the production line, for your kid desk. Just select this link to visit the Candylab Campaign and please tell them Garagistry sent you. (No, there's no kickback, commission, or even a free surfboard. We'd just like them to know how you learned about the campaign.) Or visit their website to learn more, how to buy and where they are sold.